Dry shampoo: the eighth wonder of the world. But also incredibly simple to make. 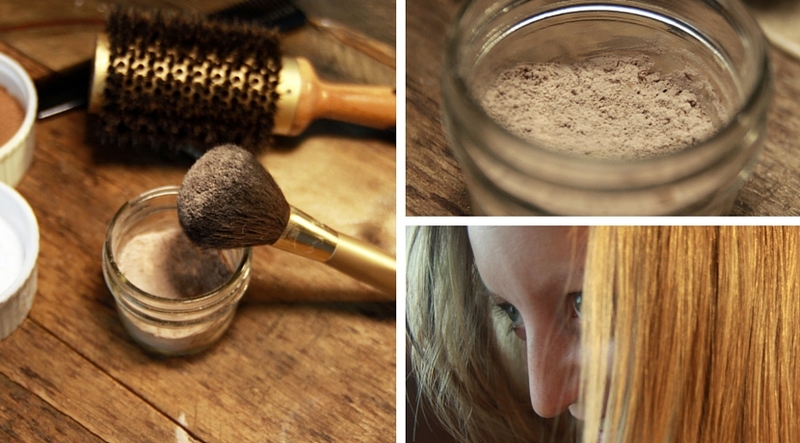 If you’ve never tried dry shampoo at all, you’re missing out! I’m not sure what’s in the commercially produced stuff, but any dry shampoo absorbs the grease in your hair and makes it magically disappear. Or at least makes you look less like a stringy greaseball. I try to avoid paying money for a bunch of chemicals in a can, so here it is—your answer to non-greasy hair days. You may need to adjust the following ratios to fit your particular hair color. Once you’ve found the right combination of powders, use a makeup brush to sprinkle the mixture around your scalp, then brush it to the ends of your hair. I find boar bristle brushes work really well to evenly distribute the powder.